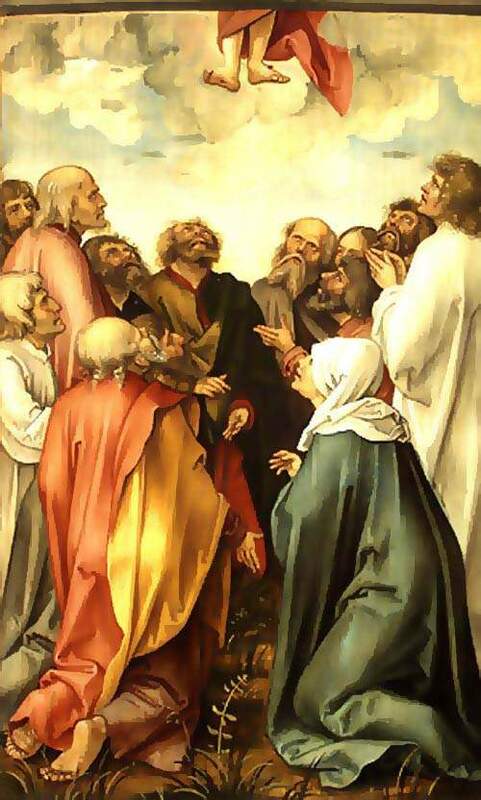 The Christian calendar marks this day as the Feast of the Ascension. 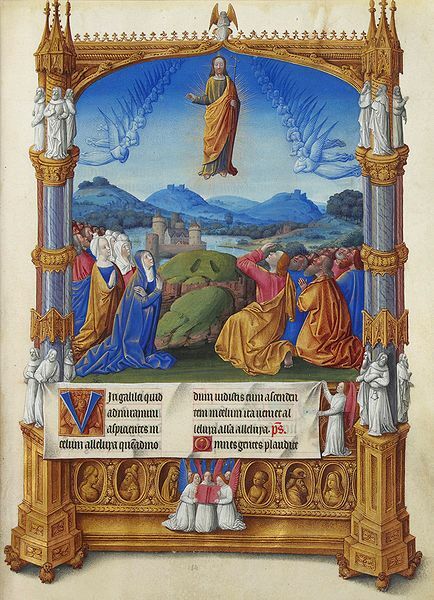 The feast takes place on the fortieth day after Easter Sunday and commemorates the Ascension of Christ into heaven. I love the way the Ascension has been depicted through the ages. Some artists have gone full out with glowing clouds and Christ rising like a missle. Others have a touch of whimsy, with only Christ’s feet poking out of the bottom of a cloud as the Apostles look skyward. 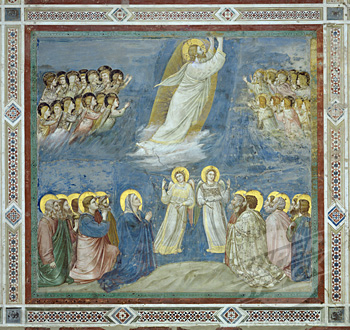 For lovers of choral music and Anglican liturgy there’s two superb recordings of music for the Feast of the Ascension. 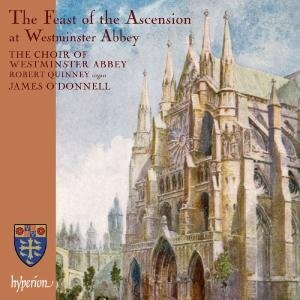 On the Hyperion label there’s The Feast of the Ascension at Westminster Abbey. The recording takes the listener through a day of worship at the Abbey with music for Matins, the Eucharist and Evensong. 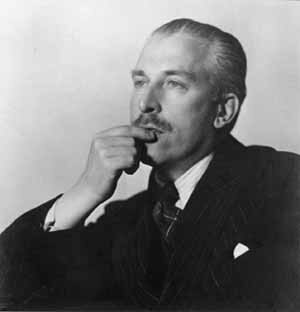 Some highlights include Sir Charles Villiers Stanford’s old favorite Caelos ascendit hodie, Gerald Finzi’s “God is gone up,” and Patrick Gowers’ brilliant Viri Galilaei. The Westminster series has now reached several volumes of glorious sacred works for chief feast days – O Praise the Lord, Restoration Music from Westminster Abbey is the newest – and they are some of my favorite recordings. 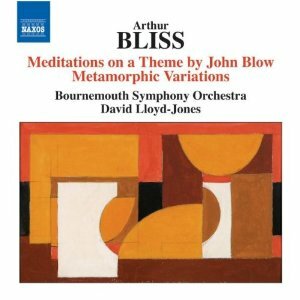 You can sample some of this terrific album at the Hyperion website. The always marvelous Delphian, a super-cool independent label from Scotland, has Ascension. 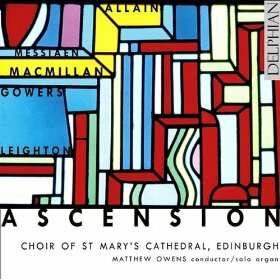 This recording features the Choir of St Mary’s Cathedral, Edinburgh in an Evensong service for The Feast of the Ascension. 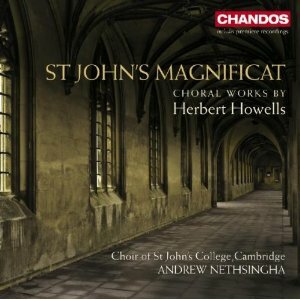 The recording has hymns, psalms, anthems and a terrific pair of canticles (Magnificat and Nunc dimittis) by Richard Allain. 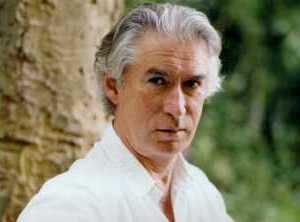 The program closes with organist Simon Nieminski playing Olivier Messiaen’s magnificent L’Ascension. Speaking of Messiaen, here’s Oliver Latry playing Transports de joie d’une âme devant la gloire du Christ qui est la sienne, the 3rd movement (not part one as the video post claims) of Messiaen’s L’Ascension. Advent welcomes in the new Church Year and begins on the fourth Sunday before Christmas Day and ends on Christmas Eve. The season focuses on the birth of Christ (his first Advent) and anticipates the return of Christ the King (his Second Advent). It is a time of contemplation and repentance, not merely a countdown to Christmas. There is some brilliant music for the Advent season in the Anglican tradition. Such anthems as Thomas Weelkes’ Hosana to the Son of David, Orlando Gibbons’ This is the Record of John, William Byrd’s Vigilate and hymns like O come, O come, Emmanuel are mainstays. 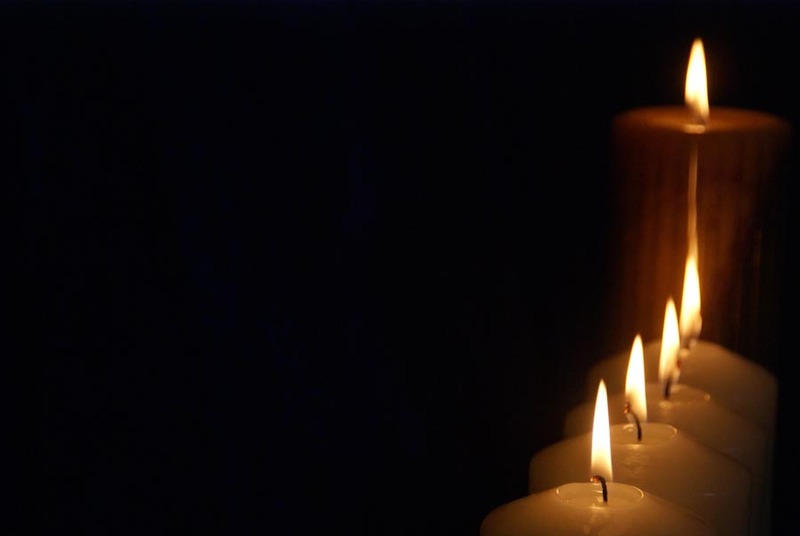 The responses (music featuring a celebrant or small group singing or chanting verses while the larger choir or congregation respond with a refrain) are somber and beautiful and usually are settings by Thomas Tallis or Giovanni Pierluigi da Palestrina. 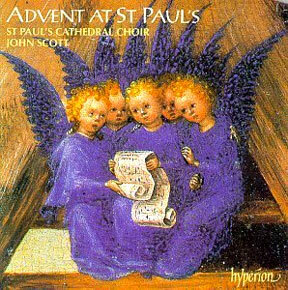 One of the best recordings of this kind of music is Advent at St. Paul’s which features the St. Paul’s Cathedral Choir under the direction of their former music director John Scott. 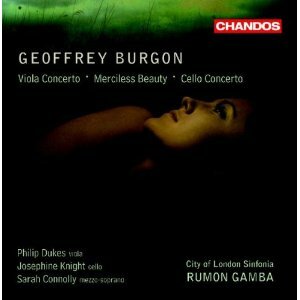 The recording is on the Hyperion label and well worth finding. Another fine recording, Advent in Winchester, features the Winchester Cathedral Choir conducted by Andrew Lumsden, it’s available on the Griffin label. There’s also a marvelous recording on the Koch label that recreates at Advent Evensong service at Saint Thomas Church Fifth Avenue. Evensong for Advent features The Saint Thomas Choir of Men and Boys under the direction of their former music director, the legendary Gerre Hancock. This is the real deal with the Reverend Canon John Andrew, Rector Emeritus of Saint Thomas reciting the collects and lessons. I am the day soon to be born. I am the sprig from the root of David and the bright star of the morning. I am the alpha and the omega, the first and the last, the beginning and the end. Rejoice Emmanuel. There was a silence in heaven as the dragon joined battle with the Archangel Michael. Salvation, honor and virtue to almighty God. Alleluia. The Christian calendar marks this day as the Feast of Saint Michael and All Angels or, as it is commonly known, Michaelmas. I like Saint Michael, an archangel and a fierce figure. I hate what our pop culture as done with angels though, placing them somewhere between Smurfs and unicorns. The first words from angels whenever they appear in the Bible was almost always, “Fear not.” You wouldn’t be terrified by a doughy little baby with cotton wings, would you? For fans of choral music and Anglican liturgy there’s a superb recording on the Hyperion label called The Feast of Saint Michael and All Angels at Westminster Abbey. The recording takes the listener through a day of worship at the Abbey with music for Matins, the Eucharist and Evensong. 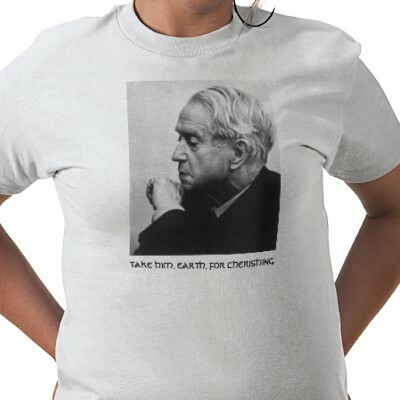 Some highlights include Michael Tippett’s Plebs angelica, Richard Dering’s gorgeous Factum est silentium and the Sequence for St. Michael by Herbert Howells.